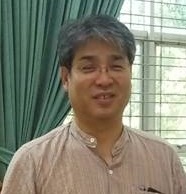 UCSY-Ishibashi Lab was established in 2018 at University of Computer Studies, Yangon (UCSY) based on the agreement signed in April 2018 for the academic and cooperation between UCSY and Nagoya Institute of Technology (NITech), Japan. The lab collaborates with Ishibashi Lab at NITech on research. The main purpose of the research is to achieve high quality of multimodal communications by handling information about haptic sense as well as information about audio visual senses such as voice and video as multimodal interface. This is because we can perceive the shape, softness, and weight of an object at a remote location by using a haptic interface device which inputs/outputs information about haptic sense. However, when we transmit the information over the Internet, which does not guarantee Quality of Service (QoS), Quality of Experience (QoE) may be degraded seriously owing to the network delay, delay jitter, and packet loss. To solve the problems, QoS/QoE control and assessment techniques are indispensable. By studying the techniques, we will realize high quality of multimodal communications.